Thinking maybe it was some odd French thing, but I wasn’t really keen on having someone add a few brains to my bag of olives. After a bit of mental maneuvering, I realized she was letting me know she would be adding some “brine” to my olives—not “brain”. Which was such a relief. Ok, so fast-forward back to last Sunday. Noting that Monday was a holiday, since I’d already bought the cukes, it dawned on me that the giant Tang Frères, Paris’ Asian supermarket, was open on Sunday. So I rushed right down there. Of course, they’d have coarse salt. Navigating the mobs of people, working my way through the aisles, I bought a whole bunch of things. Yes, indeed they did have everything. Then I headed to the salt aisle, where they had many kinds of salt lined up in all sorts of boxes and bags. Except there was no coarse salt. Anywhere. Which goes to re-prove my theory that they’ll have everything but what I’m looking for around here. 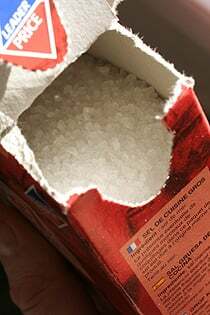 But on a whim, I stopped in one of their satellite stores on the way home and there they were, a stack of red boxes of coarse salt. So I grabbed one and went home to start my Kosher dill pickles. 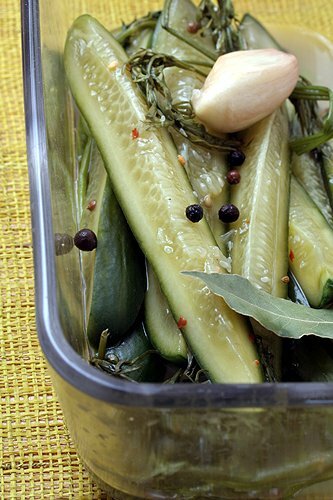 I used what are called mini concombres in France, which are thin-skinned and relatively small, but Arthur Schwartz’s recipe, which I followed, says to pickle Kirby cukes. So if you can track them down, get Kirby cucumbers. 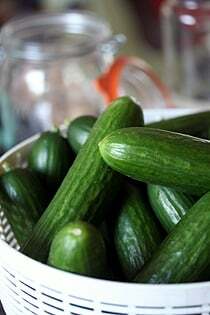 (Unless you have my kinda luck and they have every kind, but…) Arthur also says to try to get the same size cucumbers, or they’ll pickle and ferment at different rates. I don’t know what’s the equivalent of pickling spices here in France. Like pumpkin pie spice, I don’t think it exists. So I used a mixture of coriander, allspice and fennel seeds. And the results? Stupendous. These were great, and very easy pickles to make. And me and my friends have been munching on them all week. All that was missing was a pile of hot corned beef jammed between two spices of corn rye with some mustard and a Dr. Brown’s black cherry soda. So for anyone who doesn’t think they can make pickles; don’t be worried. You can. Following Arthur’s excellent and very easy recipe, you’ll find making them is truly a no-brainer. Adapted from Arthur Schwartz’s Jewish Home CookingArthur advises making sure the cukes aren’t bitter before pickling them, so be sure to take a bite of one. In the US, at farmer’s markets, they often give samples first. If you live somewhere, like say, in Paris, you can do something similar to My Trader Joe’s Wine Test: Buy a bottle, take it out to the parking lot, open it, and take a swig. If it’s good, go back and buy a case.I found the recipe made a bit more brine than I needed, but that’s probably because my cucumbers were different than what was advised in the recipe. Just for fun, I did one jar by splitting the cucumbers lengthwise and they worked great. It’s a good tip if you want your pickles in a hurry since that jar was ready after just days of fermenting. 1. In a large pot, bring 1 qt (1l) water to a boil with the salt, stirring until the salt is dissolved. Remove from heat and add the remaining water. 2. Prepare three 1 quart (litre) wide jars by running them through the dishwasher or filling them with boiling water, then dumping it out. 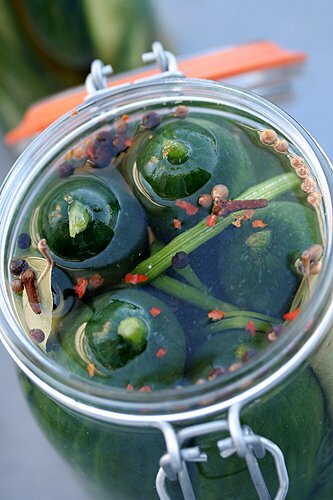 UPDATE: Some of you have left comments and messages regarding pickle-making. 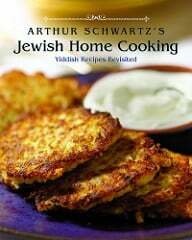 I followed the recipe in the book, and if you have further questions about the recipe I suggest consulting Arthur Schwartz‘s book, listed above. I’ve closed off the comments because I can’t add more to the discussion. If you’re looking for troubleshooting or advice about pickle-making, I suggest visiting the first site listed below. I find that I have been craving, craving sweet pickles, which I can’t find here in Italy. I’ve seen a few jars of German dill pickles, though! I wonder, can you re-use the brine once you’ve eaten the pickles, or do you have to start all over again? Thanks for posting this recipe! I’ve only made vinegar-pickled cucumbers before. Though I often make kimchi at home, I guess I never considered that the same essential process could be used for Kosher dills. Can’t wait for cucumbers to show up in the markets here so I pickle them. Maybe I’ll add some crushed sichuan peppercorn to the spice mix. This is very similar to my recipe. I reuse the brine adding carrot sticks or other raw vegetables. The crudites are delicious in 3 or 4 days. My landlady used to make the BEST pickled green tomatoes. They were incredible on omelettes, crispy sour and very spicy. Once I found out how she made them (the “old fashioned” way by sealing hot jars and not processing them), I realized why they were so crispy, but didn’t really want to risk botulism. I think I may have to try the kimchee pickle recipe with tomatoes! How beautiful they look too. I love pickled cukes. I tried the Polish version recently which are preserved in brine and not vinegar and they are great too. I made a Polish cucumber soup with them – fantastic! You have exactly the right size jars too, I probably would have forgotten that and ended up having to cut my cukes which would not do at all! Um, David, I happen to have a barbecue, which you will admit is pretty darn rare in Paris. Is that a good enough bribe? Or should I throw in a jar of spicy pickled onions? Thanks to you, I got motivated at the market this morning and bought a load of onions and then went to the local Arab shop for coarse salt, so tomorrow I’m pickling! This recipe doesn’t call to for processing the pickles, so am not quite sure how long they’ll last. But I posted some links to various websites with pickle guidelines and info. Whoa, David, you have once again got me running for the kitchen. I need to do these now. Nice. Are they crisp? I hate a soggy pickle. Kirbys are easier to come by here, and the thicker skin adds a nice crunch to pickles. The cukes in your photo are my favorite for just munching, but I don’t often see them at my local farm stands or farmers’ markets. When the pickles and fresh dill are in season, I make jars and jars of these pickles. oh what fun. thanks for posting this recipe. 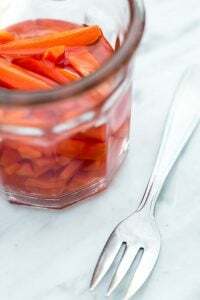 I have been thinking about making pickles for awhile now, and branching into pickled asparagus and green beans, nothing goes better with a bloody mary than some good pickled veggies. Hey your cucumbers with the nice thin skin might be easier to pickle, maybe… the regular Kirby kind has much thicker skin… but the advantage is that it has more of the “cucumber” taste. Jill: Yes, they’re quite crisp. I don’t like soggy pickles either and what attracted me to the recipe (I was going to make the chocolate babka first), was the picture of the ‘half-sours’, or NY-style deli pickles. One trick is supposedly to pack a grape leaf in with the brine, or brain, so if you have access to them, try adding one for insurance. I am the local dill pickle queen, by default because no one else makes them. I grow the cucumbers, too, because here I can only buy the big waxy ones and I want the short spiny ones. Mine are German, so Kirby doesn’t come into it. When I give away a jar of pickles, I tell the giftee that they can re-use the pickle juice to pep up cucumbers one more time. Hail the pickle king of Paris! Do French people BBQ much, if at all? If Meg lights her BBQ, will the pompiers turn up? I have never seen or smelled burning charcoal briquets in France. I NOTICE NO VINEGAR IN YOUR DILL PICKLE RECIPE…IS THAT CORRECT?…PLEASE ADVISE…DO YOU HAVE A JEWISH RYE BREAD RECIPE?…WOULD LOVE IT….THANK YOU IN ADVANCE! Yeah! Hooray for Tang Freres and their coarse salt! I will keep that in mind for my next visit to France. I just planted my cucumbers last week and I cannot wait until I get enough to pickle myself. Awesome, I’ll make these for the 4th of July party we’re hosting for our French friends. I’m trying for an “all-American” menu, and these look just right. With your last pickle post, I was craving salt brine pickles so much that Saturday I popped down to Faubourg Saint Denis in the 10th and bought some barrel pickles at the little Polish shop (along with kielbasa and poppyseed roll… yum). I have been happily munching since then. But now the question: where can you buy hot water processing equipment in Paris?!?! About the brine. Once you’re done with your pickles, add par-boiled asparagus to the brine! David, I’d be happy to bring you some NYC specialties when my friends and I arrive next week. Let me know what you’re jonesing! Ken: There’s no vinegar in this recipe, but this book does have a recipe for Corn Rye Bread. The cucumbers we get in Jamaica do not have the fine seeds. Do you know if ours will work? Woah I’ll have to try those! The last time I tried to buy pickles from a barrel in a Jewish deli in the Marais, I somehow got slices of pickled meat – apparently CALLED “pickle”, but which were in no way pickled cucumbers. 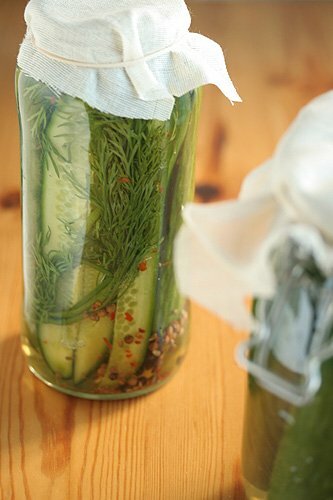 Steralize the jars and after putting the alum in the bottom, pack them with thoroughly washed cucumbers, dill and garlic. Mix the other ingredients together and bring the mixture to a boil. Pour it over the cucumbers in the jars . Seal the jars with steralized lids. The pickles are ready in 4 weeks. I haven’t made pickles in years but I will this year if I can get good cukes at the farmer’s market. These are really crisp because of the alum. Wow, are these good, and they’ve only been sitting for three days. I always make bread and butter pickles during the summer, but these are a great change. My husband said they taste just like the pickles served in a good Jewish deli. And what a compliment that is…so a grande abrazo (big hug) to you! Muchas gracias, David. can i use a SEA SALT in place of regular salt? Marge: If you use gray salt instead of white salt, the brine will be cloudy, so it’s recommended to use salt that’s white, such as kosher salt. Wow you are making me hungry. Those recipes look fantastic. Keep up the great work. Your images are amazing! What kind of camera do you use? Fabulous! I can’t wait to try this recipe. You rock in spades, David–thanks. Thanx much for this recipe David. I just moved back to the US after living in Slovakia, Bosnia and Croatia for the last 11 years so I understand fully the difficulties of getting the exact ingredients for everything. One question regarding Art’s recipe, I followed the recipe to the letter. I whipped them up a couple of days ago and they are cloudy. I know brine can be cloudy so I am just double checking to make sure I haven’t made a mistake somewhere along the line. Jacci: I’m not much of an expert on pickle-making, like Arthur. 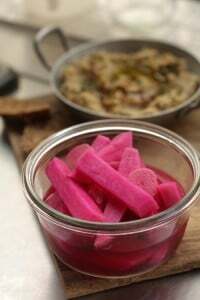 But can find links to pickle-making sites, which I’ve added at the end of the recipe. And it’s likely you’ll find the best answer to your cloudy pickle brine question there. David, got it, merci beaucoup! I followed Arthur Schwartz’s Homemade Kosher Dill Pickles, and tasted one on the 3rd day… Not finished, and we went away on a 4 day trip, On the 7th day, I found a white fuzz on the top of each 1/2 gal jar. Can I assume I have ruined all six half gallons since I have what I think is a mold that ruined the pickles and they have to be destroyed? Hi Ed: There’s a link above, Common Pickle Problems that you should check out to diagnose what happened to your pickles. And it’ll tell you whether to taste ’em ot toss ’em. Sound to me like they went too long, or got too hot. I guess I let them go too long. For one thing, I had cut the cukes all into quarters. Second: I used a jar of refrigerated minced garlic. So it looks as though I have to try again. Thank you for your reply and help. Just a quick question, where did you get fresh dill weed? I’ve noticed that in France fennel and dill are both called “aneth” – any ideas? hi Karina: Fennel is fenouil and I used fresh dill (aneth), as shown in the photograph. Ideally dill fronds are best used for pickles, but I couldn’t find those in Paris. Is there something wrong if the pickles in the jar get a white foam (bubbles) before they are opened? We opened and ate one after 3 days as suggested and it was not salty enough but very garlicly-but had a little of this white foam. Other jars not opened yet. Waiting for next taste test. Hi Bruce: Did you check through the links of pickle trouble-shooting problems? There’s a few things that can go wrong and I linked to a couple of places that could perhaps give you the best answer. In general, though, if you have doubts about the safety of eating something, it’s best not to eat it unless you know for sure that it’s okay. I’ve had the same problem with my pickles as David. i did put a grape leaf in each jar so perhaps that’s what’s caused the cloudiness and foam. I was hoping that it would help keep the pickles crisp. i tried the link to trouble-shooting problems but couldn’t seem to get further than Clemson University. “Trouble shooting pickles” in their search area didn’t bring anything up. Any advice? I don’t know about reusing jars for pickling and caning. Perhaps check the USDA caning site I linked to at the end of the post, as they’re likely to have a response. Thank you for your response, i will look into that. I will purchase 3 of 1L Le Parfait jars to make these dill pickles, just why you need cheese cloth for it? Can you reuse these jars every year? I did one jar and they are fantastic!!!!! How long do they keep in the refrigrerator? I tried these last year and the first jar was great. I waited too long to open the next ones and they went bad, even in frig. I didn’t use pickling cucumbers and I didn’t process them. I will try again this year. Wanted to let you know you need to update the link to the Clemson University, Troubleshooting. 1) Do these get sour enough to taste like “full sour” pickles? 2) What is a “cool dark place” in the month of August in NJ? ;-P OK to leave these on the counter of my kitchen (no direct sunlight) or should I put them in the fridge? 3) How long do they last? Unfortunately I don’t know the answer to those questions, as they’re not addressed in the book. 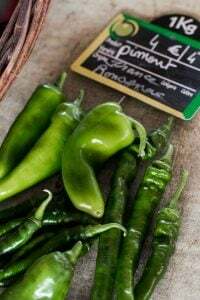 There are some pickling links that I left at the end of the post that may answer the questions about storage which I hope will help you find answers. I made these and ate them pretty quickly, so the storage wasn’t an issue. Are you supposed to boil the water/salt? Or just heat it until the kosher salt dissolves? If the full stemmed Dill heads are not available, can I substitute Dill Seed? I made pickles by the fermenting process and it can get a white residue on top. Remove it by using a spoon; if there is a lot than your cukes have gone bad. Always cut one in half to make sure it hasn’t dried out in the middle creating an air pocket. You can use dill seed but it is not as pretty. Normally these are made in a huge crock and can set there all winter. But you can can then in a boiling water bath. Consult the Mason book that comes with the jars. I have used commercial pickle juice to pickle shredded Zucchini for relish. It was great. Soaked the shredded Zuc in salt over nite, wrung it out and put in in the jar of juice with a couple cloves of garlic. Delic!!!!! I keep it in the fridge. I am going to try this with Green tomato quarters. Adding some pepper for a little bite. Good Luck all. I forgot to mention, I am from Russia, and my mom cans pickles with green or unripe orange tomatoes togehher in the same jar. They are delicious. The problem is my mom never writes down any recipes, she tastes her salty brines for wth right anount of salt. how does she know? I can never get from her a written recipe. Salt in America is different, I can never get the proportion right here. I have been using pickling salt only as I had my bad experiences with other salts before. I might throw a few underripe tomatoes with my cukes this time. I will let you know how they’ll turn out. Have you heard of a pickled in brine watermelon? That one is to die for too. I have never made it myself, but did purchase them in Russian markets. The grannys make those in huge wooden barrles with sourkraut.